Had a blast with this car for a weekend work trip in Los Angeles. First time renting and Eli made it easy. Will definitely be renting again! The WRX is a great car, and felt very stable in on rainy Los Angeles freeways. Fun to drive up the canyon, and easy around town. Eric and the team were great, and the operation runs well. My original selection was not available due to a part that wasn't available (outside of their control), and I selected this car a day before my rental. Good flexibility. Easiest car rental ever! Thanks Eric! Ando is great and so are his cars. Will keep renting from him. Francisco is really easy to deal with. Would rent this car again in a second. Great clean smooth riding car, picked it up close to the airport, and it had a full tank of gas !! . The owner and his mother were amazing super nice people ! They even drove us to the airport, after we returned the car which we appreciated so much. Thank you again ! The car was super clean and felt and looked basically brand new . Next time I am in Los Angeles , I will be booking this car again . I had a great experience !! Thank you. Eli was great! Amazing customer service from start to end. Will definitely be renting again! Jose was a great host! Car was clean and awesome as well. Jose and his brother was great to deal with. The WRX was an absolute blast to drive and was in excellent condition. I will definitely rent from them again when I'm in the area. Eli is very easy to deal with. The car is amazing and cool. It was delivered clean and on time. Perfect car for the perfect trip, thanks to Kevin and Miguel for the excellent service! Best person I’ve rented from on this app!!! Thanks Eli for the prompt responses to all my questions. Pick up and drop off was easy and the car was awesome! Always a pleasure renting from Ando ! Renting from Eric was extremely easy. Easier and faster then any major car rental service. Only had to wait about 5 mins before someone came and picked me up. The driver was super cool and the location where all the cars were at was close by. The WRX that I rented was ready to go, and after a quick spin around the block to make sure I knew how to drive a manual I was on my way. Car performed perfectly during my trip. Return was quick and easy too. All in all my experience with Turo, Eric, and his staff was phenomenal! Eric's WRX was a lot of fun to drive and he was easy to reach. His staff are also very friendly. Everything went smoothly, and Violetta was great to work with. Thank you! Ando is an outstanding host, super flexible and helpful all the time. He definitely made my first Turo experience the best! Thank you for all that you do Ando. Very convenient pickup and drop off. Eric was very punctual and easy to work with. I would rent a car from him again. Jose was very friendly and fast to respond which was a convenience on a tight schedule. Renting from him was hassle-free and straight to the point, also the car was 💯 👌 during the rental period. Really great guys. The car I originally pick had some tire issues from the previous renter but they were quickly able to get me into another car, which end up being more fun to drive. They are busy but work hard to get everyone picked up and dropped off on time. I would 100% recommend to anyone. amy and vince were hands down the easiest folks to rent a car from. super communicative and flexible, incredibly cool folks. the subí was an incredible ride. super clean and well maintained. the car handles like a dream. definitely recommend renting from these guys. it's been he best turo experience yet! Ando is great! Fantastic communication. Kind. Car was as promised. The only thing was that we don’t have usb port that work in the car ! A very small detail because the rest was amazing ! Fun car to drive! Awesome service thank you! Jose has a great car. Loved his wrx ! Great car, absolutely loved it. Yana was very nice . Great car! Jose was great and flexible with my schedule. I couldn’t have asked for better experience. Thank you! Allen’s BRZ was amazing, it’s awesome to be able to drive a car that car rental companies don’t offer (manual). 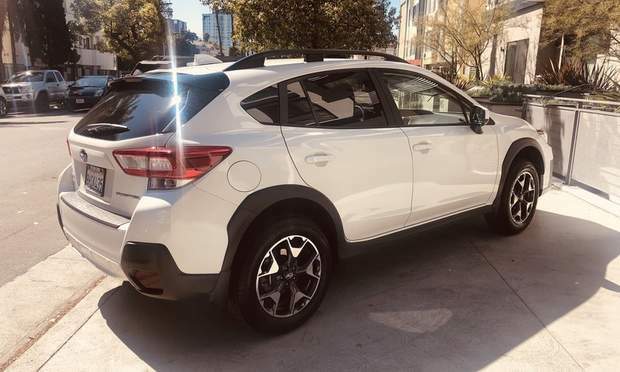 I was able to get a feel for the car on a real world basis and not just a two block test drive from a dealer with the car salesman trying to push for a sale. Allen keeps his car in pristine condition, I needed to drop off the car an hour earlier than scheduled and he was willing to accommodate my request. 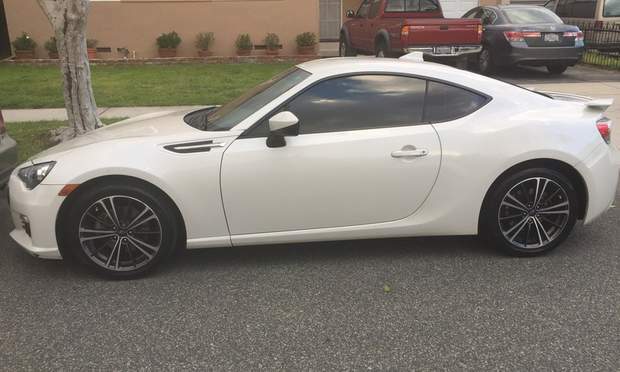 If you are going to rent a BRZ/FR-S this is he one to go for. Car was excellent, Eric and his team are all very professional, friendly and accommodating. 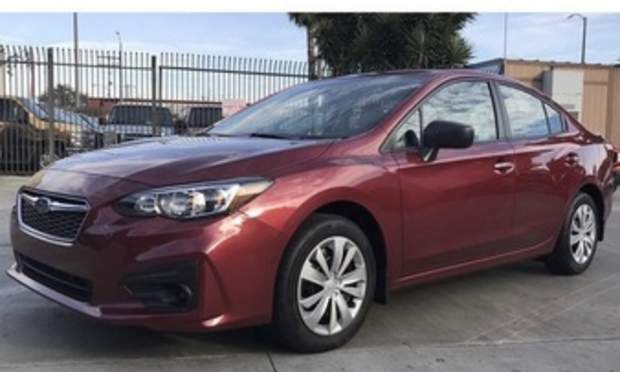 If your thinking of renting on Turo in the LA area, 100% rent from Eric!! Will definitely be renting again when I return. I was visiting from Germany for a week only and even though I had to rent Francisco’s car last minute everything went very smooth. The car was in very good condition. Would do it anytime again. Eric’s WRX was a blast to ride. Everything from planning to picking up was great. Even had my flight delayed and Eric was able to accommodate. The car was smooth and drove as expected. I definitely would rent again whenever I’m back in the area. Thanks for the good experience. The process was straightforward, very convenient, and incredibly easy. No worries at all which made the trip stress free. Communication was also fast, and the entire crew was down to earth and so kind. Ando was great. Very nice guy and made everything very easy for someone using the app for the first time. Thank you Ando Jan.
Jose he is such nice, the car is perfect！！！ Will rent it again!!! Eric and his team were great. From shuttle service to pick me up and drop me back off to my flight, to the switching of vehicles that needed to be done last minute. Everything was spot on. Thanks so much. Everything was perfect. Great service by Eric & his team! The Subaru was fun! Will definitely rent from Eric again! I am so so glad to have found this listing for my trip to the Sierra Nevadas. The car was an absolute blast during normal highway driving and (especially) mountain carving. Amy was super friendly and communicated in a timely manner for any issues/concerns and general communication as well! Her husband Vince was also super courteous during drop-off and pick up. This is definitely on my list to rent again should i revisit the area. Wonderful experince both with the car and Amy/Vince. The most flexible renter I’ve ever worked with. Cleanest car. Incredibly fun. Would recommend to anyone. Made my trip an absolute blast! You’re the man! I love this car. I love Amy and Vince. You guys are the best. I had the wrx for about 4 days and I didn't want to let it go. I'm definitely going to buy one soon. You guys made my car decision so easy I can't thank you enough. As a car enthusiast I want everything, but I absolutely fell in love with your car. I'm glad it rained my last day. I got to test the awd to it's potential and I was not disappointed. It reminds me of my audi at a quarter the cost. Will be renting this again very soon. Keep in touch! This WRX is sweet. Immaculately cared for, clean, beautiful, and a blast to drive. Got a few compliments along the way. What more can I say? Renting from Eric was a good experience as well. His communication is good, and willing to work with my schedule in flux. Five stars all around! Great to rent Hannah’s car! Easy pick up and drop off. Thanks!! This was my first time using Turo, and definitely not the last. 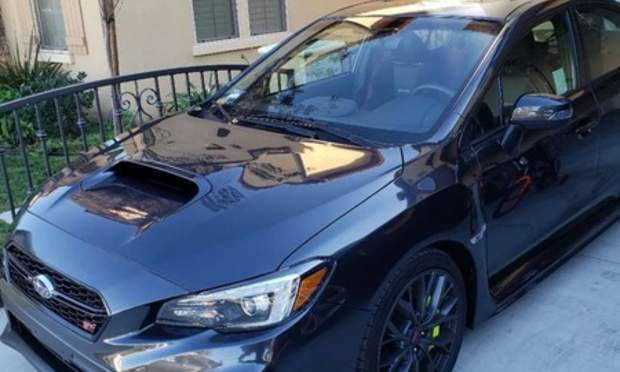 I typically go to LA at least once a year (girlfriend is from there), and I always find myself hating whatever economy car I rented, so I decided to do something about it and found Eric's WRX (he has two in his fleet). Communication was great, Eric or an employee picks you up at the airport and drops you back off if needed. The car was essentially like new, and fun to drive. The car I drove was a manual transmission, which was at times a regretful choice when spending hours in typical LA traffic, but overall made it easier for me to get around. This was a great trip and a super fun car. Eric was everything you could ask of a Turo Host, gracious, prompt, and generous. Will be renting again. Everything went great ! The car was awesome, easy pick up and drop off, next time we’re back in LA we’ll definitely be renting from Eric and his team again. Amy and Vice are such great people to deal with. Loved the car will definitely rent from them again. They’re so easy to comunícate with and really flexible with picking up the vehicle and dropping off. I would give them 10/10. Thanks Vince and Amy. Will be in touch next time I’m in LA. I had a great experience renting Francisco's car. He was able to accommodate me last minute. Pickup & Return was easy. Very friendly guy and an overall enjoyable experience. I'd rent from him again for sure! This was my very first experience renting through TURO and it was a very good experience for the most part. I rented Eric's WRX for a few days, half my trip being for business and the other half for leisure driving after my work in LA was done. The car itself was an amazing machine and was great fun to drive when I was not stuck in traffic. I did have slower response times when I tried to reach out on pickup / drop-off, but ultimately was able to get in touch with Eric or one of his team members. I had a battery issue majority of my trip and sadly the car actually did end up not starting a few hours before I had to return the car. I had to contact Turo Support for assistance and a battery jump-start. All a good experience besides from that. Would really be interested in renting this car soon! Great rental car was clean, extremely well maintained and a great price. They were also flexible with times which really helped me squeeze out the last few hours of my vacation. The car is amazing! Fun to drive and a smooth ride. Jose is a great guy; he is very friendly and pick up and return was easy and quick. Would definitely rent again if I'm in the area. Great service! Car was awesome. Definitely recommend renting from Ando! Cool car, super fun to drive. Francisco was prompt in all communications and I wouldn’t hesitate to rent from him again. Wonderful rental! Would rent again with Chris and this Subaru!!! Eric is a nice guy, very trustful! 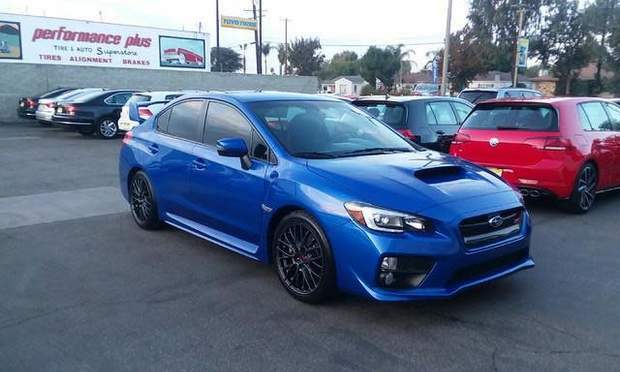 If I go to LA again for sure I will rent the same Subaru! I have driven many different sports car before (BMW Ms and Mercedes AMGs), but the WRX in my opinion is the best of all for the price. The car is fast and handles really well on mountain roads. In addition, the host Francisco is professional and responsive. Will definitely rent again in the near future. I've rented cars from Mike before and it's always a seamless process. Just go over and pickup the car which is ready and waiting after a fresh wash. Always a pleasure! Everything was great! The car in perfect condition. It’s almost new. Powerful and driving well. Francisco is communicated well. I want come back for rental it again. Jose is a super cool guy and his Subaru is super fun to drive! Would definitely rent from him again. Mike has a bunch of great cars with cool features. He helped me to went through my first few trips on Turo and I’m still renting from him. Thanks him again! This is the best rental car service I have dealt with and I travel all the time. There are many different cars to choose from. They pick you up from the airport in a really nice shuttle as well as drop you off in the shuttle after you return the vehicle. I HIGHLY recommend renting from Eric. I will always rent from him when I visit California from here on out! The WRX was great! It was nicely maintained and drove great. Enjoyed driving every second of it. Communication with Eric’s team was good and very convenient with their airport pickup/drop off service. Will definitely rent from Eric again. Great car and flexible on pick up and dropoff Times. Excellent experience! 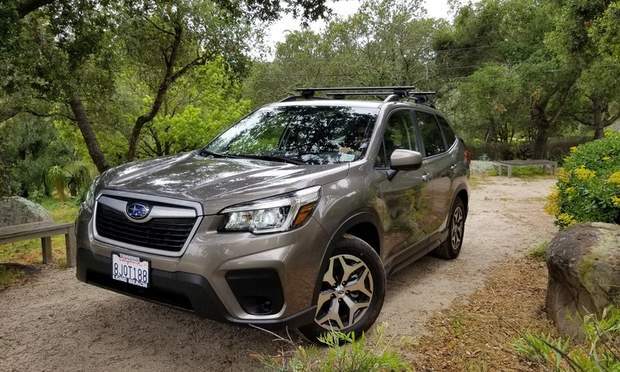 The WRX was perfect and the pickup/dropoff was seamless. Would rent again 10/10. Really great experience! Jose was a breeze to deal with and the car was amazing ! Definitely calling Jose next trip ! Glad I got to rent the wrx through LA. Really helped with getting everything I wanted to do checked off my list. Would rent again for sure. Thanks! Jose is one of the best hosts on the app. Third time renting and always a smooth experience. Will rent again. Thanks! Rob is a great guy. I put he's turo account in my favorites and defenetly i'll take car from Rob again. Thanks to Rob for good trip. Nice car at a good price. Location is very convenient to Van Nuys Airport. Jeff was super easy to deal with, and his Subaru is in wonderful condition. We had a great experience and would definitely use again. We are so delighted that we got Jeff’s car for our trip. It was so clean and well maintained. He was very punctual in all the communications and even accommodated our change requests. I highly recommend this listing and Jeff for such a wonderful experience. Great car with no issues. Eric and his team were very accommodating.